I have been developing scientific software for the most part of my career. Some of the packages I have made available here in the hope that they might be useful. These are relatively complex scientific applications. MULTOVL is a C++ application that can detect multiple overlaps of genomic regions very quickly. The basic idea of the algorithm is illustrated below. The source code (tarred-gzipped archive, 794 kB) and precompiled binaries are freely available from BitBucket and from GitHub. The software is also referenced at OmicTools and at BioTools. Aszódi, A. 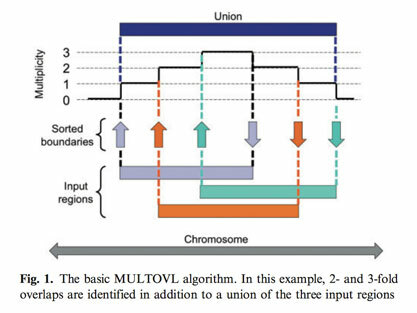 (2012): MULTOVL: Fast multiple overlaps of genomic regions. 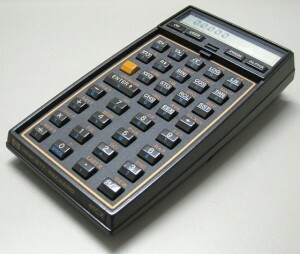 Bioinformatics 28: 3318-3319. An object-oriented toolkit for (macro)molecular modelling, initially developed in collaboration between the Novartis In Silico Sciences (ISS) unit which I built up and led, the University of Basel and the Fachhochschule Aargau. When the In Silico Sciences unit was closed down, Novartis kindly released the source so that the other collaboration partners could continue working on it. The code is now available at the OpenStructure website and the package is described in a Bioinformatics paper. You will find my name in the Acknowledgements. Aszódi, A., Gradwell, M. J. and Taylor, W. R. (1995): Global fold determination from a small number of distance restraints. J. Mol. Biol. 251, 308-326. The DRAGON source code, written in ancient C++, is of historical interest only. This application can reconstruct complex 3-dimensional structures from an incomplete set of distance constraints and restraints. I am still working on it. More information will be available after publication. cmake-python-config: A CMake snippet that can reliably detect your Python3 installation and the corresponding library locations. Use it for mixed-language programming (e.g. C++/Python projects). Razorback 2: This is a hotchpotch collection of mathematical and statistical utilities in C and C++, written mainly at Novartis. The code has a certain sentimental value to me, and probably zero value to others. This is a collection of various packages written by others that I found useful. Please consult the original sources for the authors. The IpOpt nonlinear solver and its supporting libraries (HSL, Metis, Mumps) packaged together for convenience, with installation instructions.